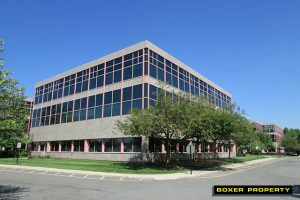 March 2, 2016 (East Hanover, NJ) – Boxer Property announced today that it has leased 29,820 square feet of office space at 120 Eagle Rock Avenue to Kessler Foundation, a public charity dedicated to improving quality of life for individuals with disabilities. Boxer Property strives to serve the needs of growing businesses in New Jersey such as Kessler Foundation. To accommodate the Foundation’s rapid expansion in research activities, Boxer partnered with Kessler Foundation’s management team to locate modern convenient space to house its neuroscience and brain injury research teams, as well as program center staff and corporate offices. Boxer facilitated the lease agreement and introduced the Foundation’s management team and brokers to Boxer Property’s in-house construction team, which worked with all of the parties to achieve the Foundation’s desired office setting. Eagle Rock Executive Office IV, located at 120 Eagle Rock Avenue, has three stories with a total of 177,820 square feet of office space for rent in New Jersey. Part of the three-building Eagle Rock Executive Park, this property welcomes visitors with a granite and reflective glass curtain wall façade, a peaceful pond with fountains, and an updated two-story atrium lobby. Visitors enjoy ample surface parking, Internet-ready suites, conference facilities, a full-service cafeteria, 24-hour key card access, and drop boxes for FedEx and UPS. Kessler Foundation will maintain space at its other location on Kessler Institute’s West Orange campus on Pleasant Valley Way, where research is conducted in stroke rehabilitation, human performance & engineering, and spinal cord injury. That location also houses the Rocco Ortenzio Neuroimaging Center at Kessler Foundation and the Gait Laboratory. Kessler Foundation, a major nonprofit organization in the field of disability, is a global leader in rehabilitation research that improves cognition, mobility and long-term outcomes, including employment, for people with neurological disabilities caused by diseases and injuries of the brain and spinal cord. Kessler Foundation leads the nation in funding innovative programs that expand opportunities for employment for people with disabilities. Over the past decade, Kessler Foundation has invested more than $135 million in funding for rehabilitation research and employment initiatives to help people with disabilities overcome obstacles to leading full and productive lives in our communities.